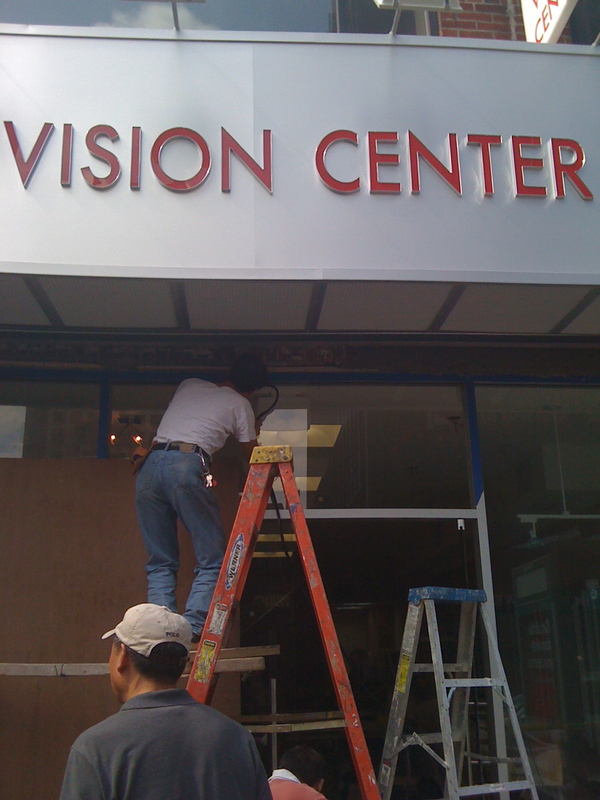 The empty space on 71st Continental, near Queens Blvd., is being filled by another optical store. 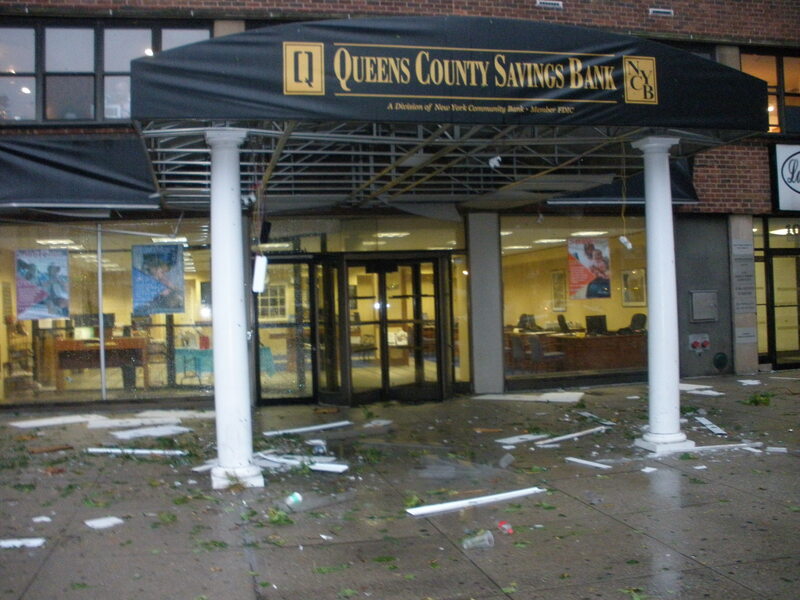 Some before and after tornado shots of the Queens County Savings Bank on Queens Blvd. 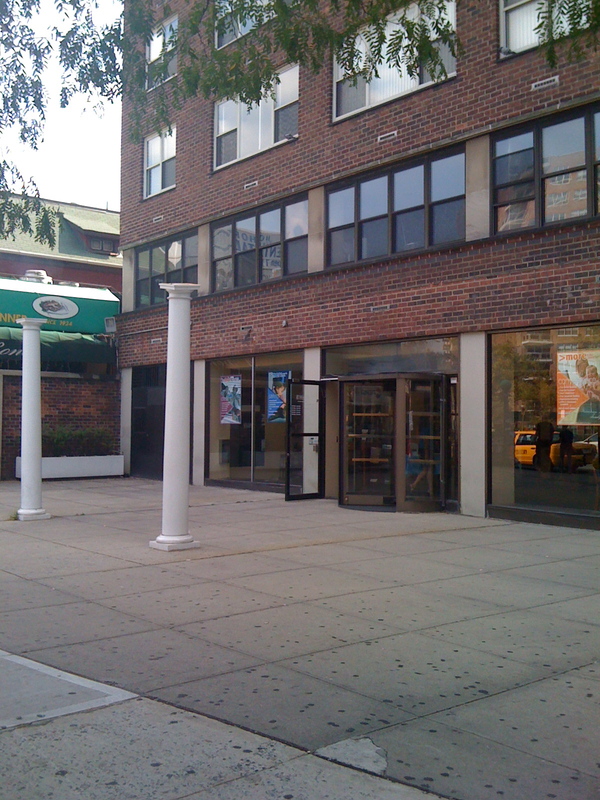 ... and the Queens County Savings Bank today. 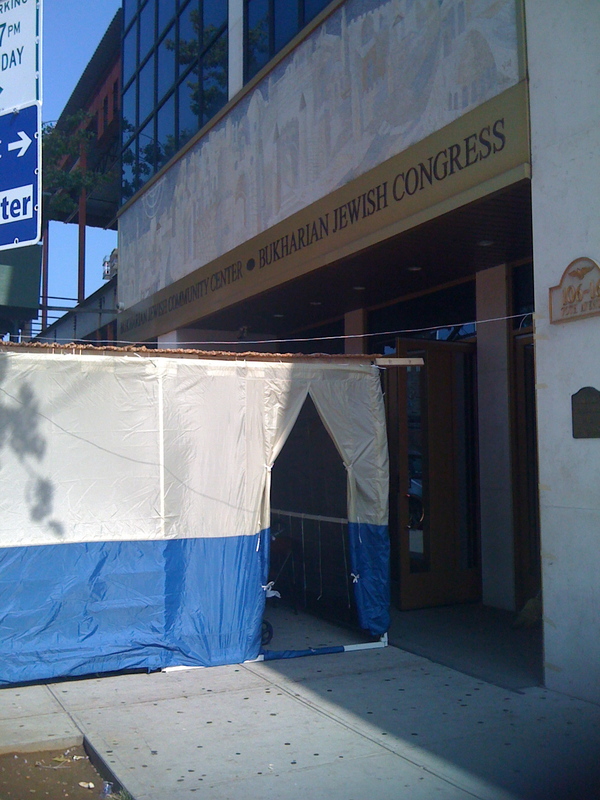 And the Jewish harvest holiday of Sukkot has busted out all over town! Oh, and one other thing…. 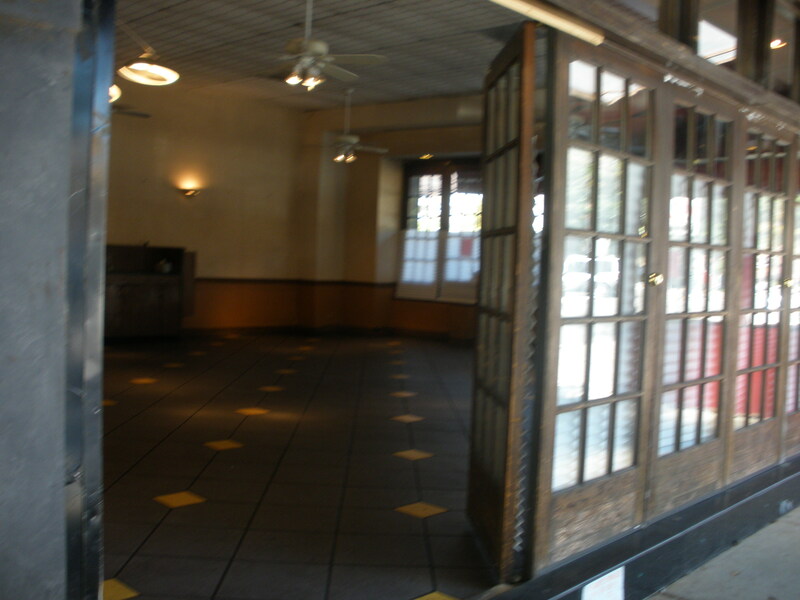 what is with the Fay Da Bakery, over near the T-Bone Diner? I walked in there and it was P- A – C – K – E – D !!!!! Is the place that good? Just what have I been missing all these years? 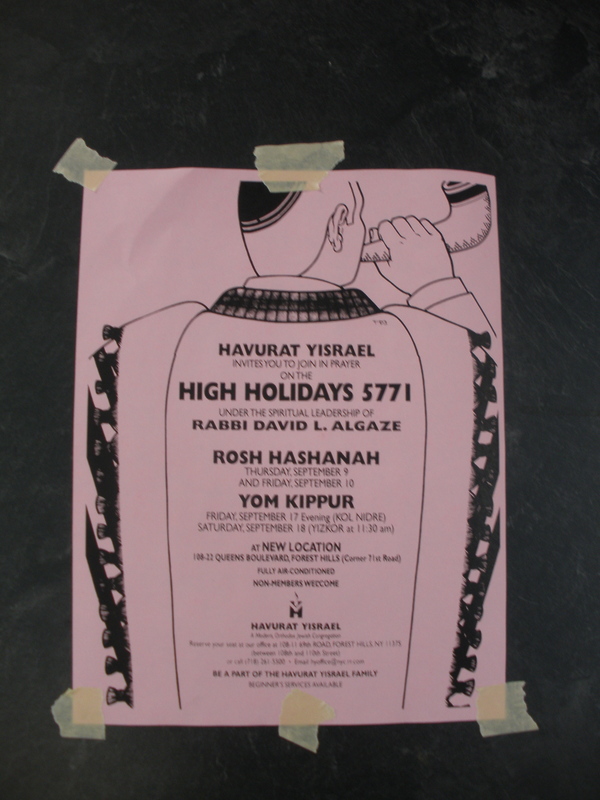 Need a place to worship this Rosh Hashanah and Yom Kippur? 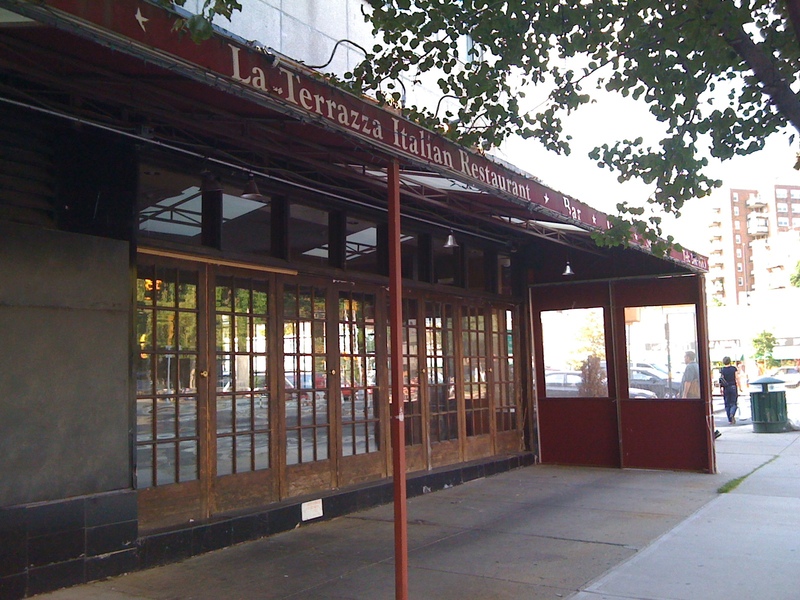 How about the former home of the La Terrazza restaurant near the Midway Theater? 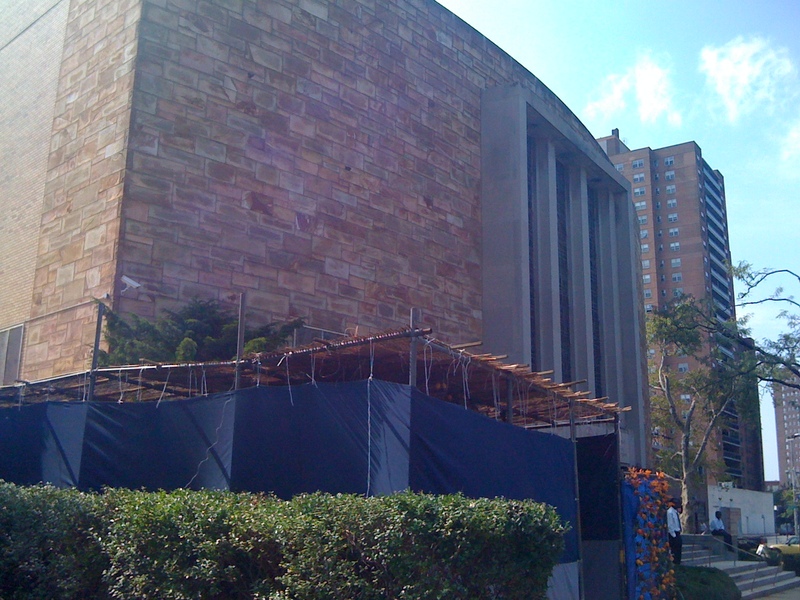 It has been temporarily converted to a synagogue for the holidays. 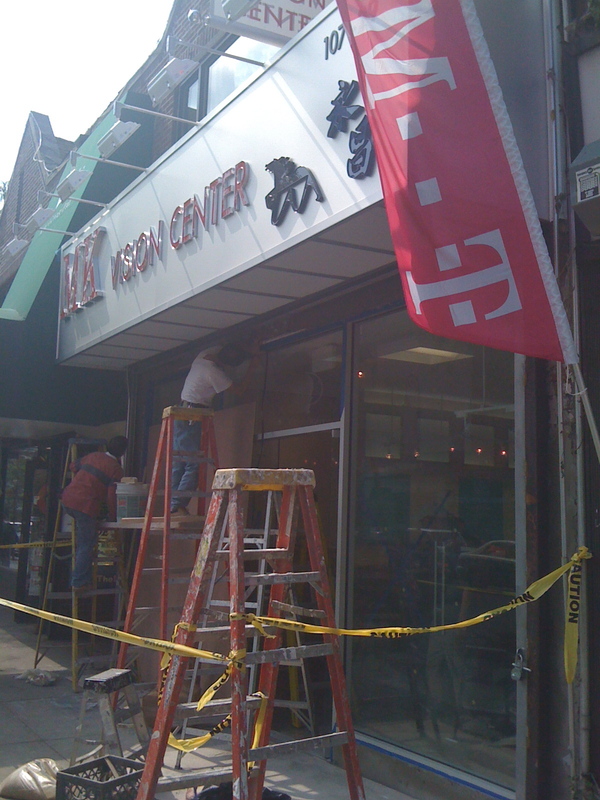 Now, that’s an innovative use of one of our abandoned storefronts! I am sitting here with the windows finally open in my apartment now that the horrendous heat has finally abated, all in an attempt to air out my apartment of the smell of mothballs that has invaded from my neighbors’ domiciles. And what should suddenly come temptingly wafting through the windows? 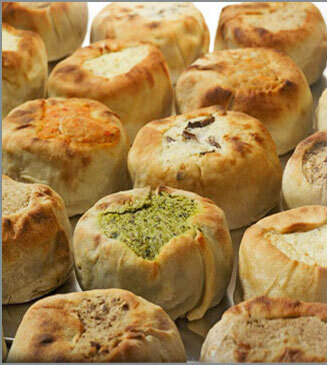 The sweet, delicious scent of knishes! 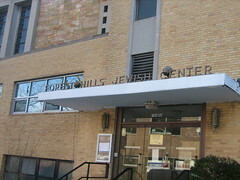 Now is that a genuine Forest Hills experience or what? 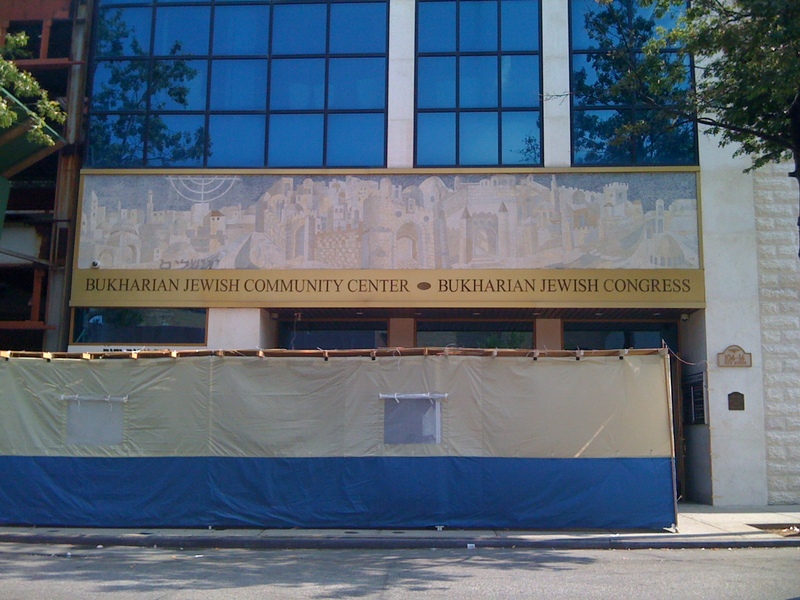 I want a damn knish and I want it now!